IBISWorld’s industry research report on Demolition & Wrecking can be used to help you understand the industry’s market size, growth potential and major companies. Five-year forecasts provide insight into the industry’s prospects, so you can make decisions with confidence. This information is perfectly suited to informing your business plans, pitch books, benchmarking and SWOT analysis. The Demolition and Wrecking industry has been recovering from the effects of the recession, which drastically reduced demand for construction services. However, business has begun to pick up, and the industry is forecast to grow past its prerecession size. 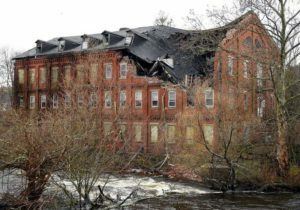 As the value of residential and nonresidential construction increases, the need for demolition for new structures increases as well. In addition, land development and construction markets are forecast to grow rapidly as economic growth encourages the construction of new retail and commercial space. 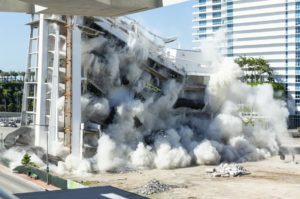 Demolition and wrecking contractors’ primary activities include taking down buildings and structures ranging from single-family homes to professional sports arenas. Industry revenue streams also include the sale of recycled debris and materials, most notably concrete, back to general construction contractors for use onsite and to other markets. Demolition can also include small-scale hazardous material handling, such as asbestos abatement. IBISWorld analysts also discuss how external factors such as Demand from bridge and elevated highway construction and Government funding for highways in the Demolition & Wrecking industry impact industry performance..